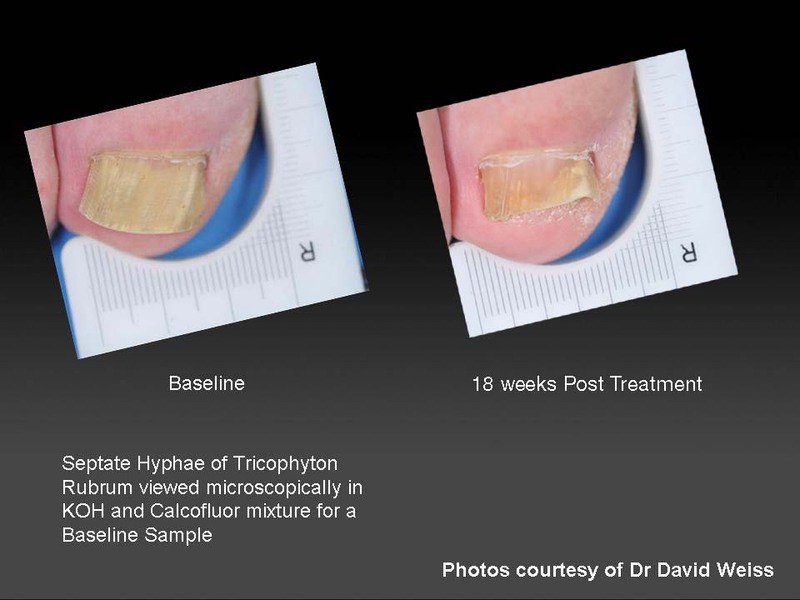 GenesisPlus — the premium laser for onychomycosis — provides a fast and effective solution without additional costs. 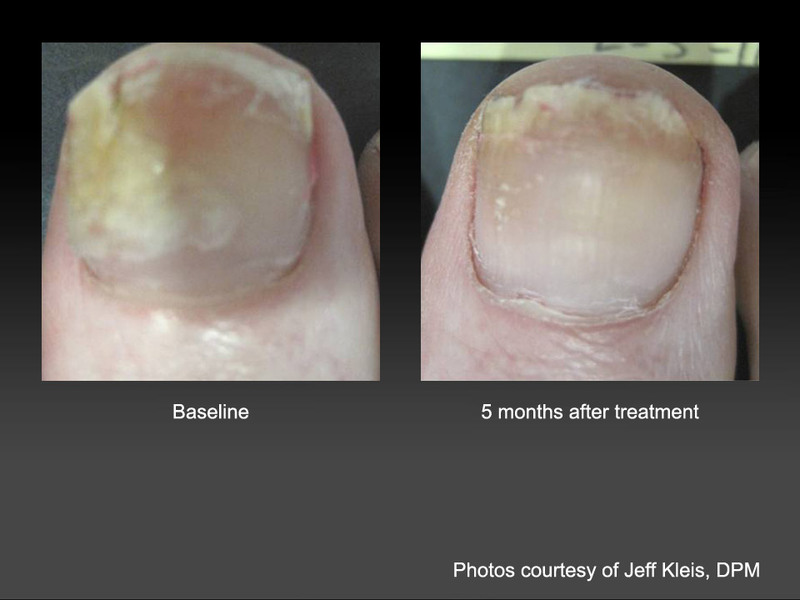 The unique features of GenesisPlus make it the laser system of choice to effectively clear the nail without drug therapies. GenesisPlus is the culmination of more than a decade of experience and one of Cutera's most advanced Nd:YAG laser systems. 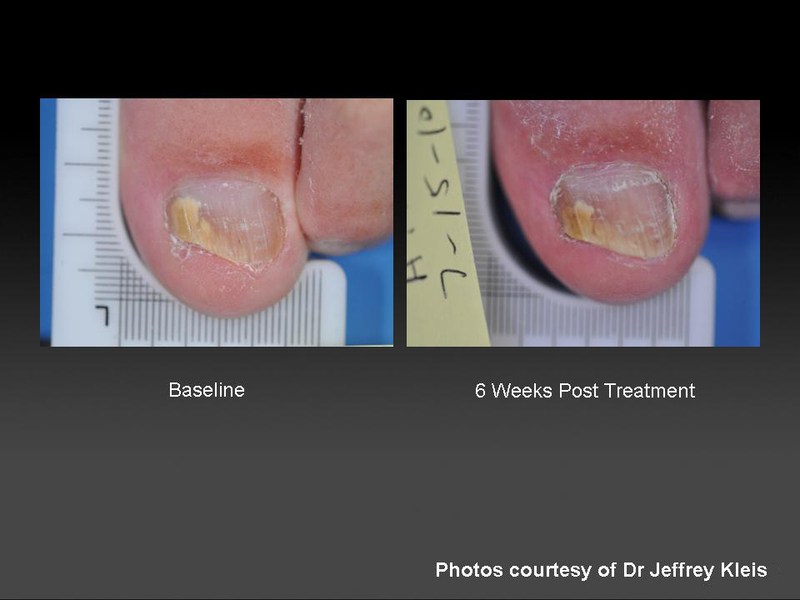 GenesisPlus is a new laser perfected for safely and effectively treating onychomycosis (toenail fungus). By targeting the fungus directly, GenesisPlus gets to the source of the problem immediately. Tiny pulses of light from the GenesisPlus laser pass through the toenail to the fungus underneath. 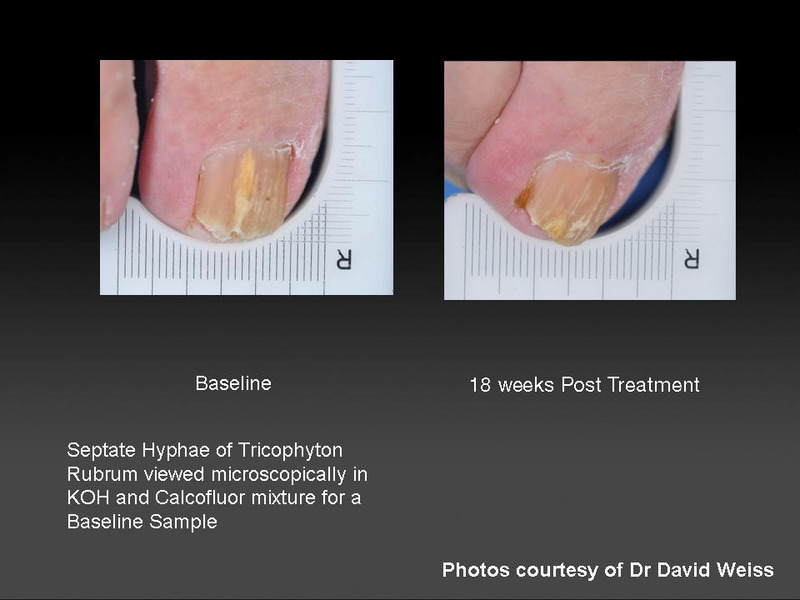 The fungus is irradiated without any damage to the surrounding nail or skin. Depending on how many toes are affected, the GenesisPlus laser procedure will take 10-20 minutes. Most people feel a slight warming sensation during the the procedure. No pain medication is needed and most people find the treatment very easy to tolerate. Consult your provider. 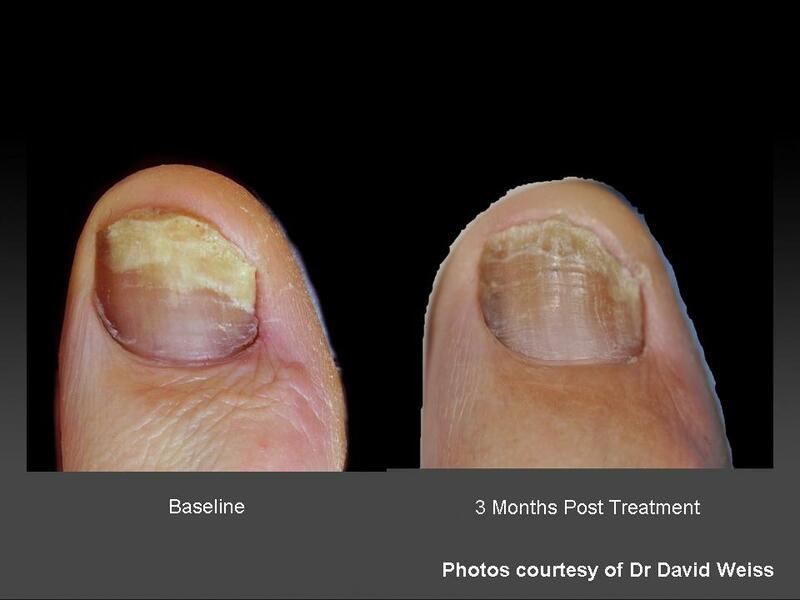 Many patients only need one treatment, but some need more if they have severe cases of toenail fungus. Are there any restrictions on my activity post procedure? You can resume your normal activities immediately. You won't notice anything immediately following treatment. However, as your nail grows out, the new nail growth should be clear. 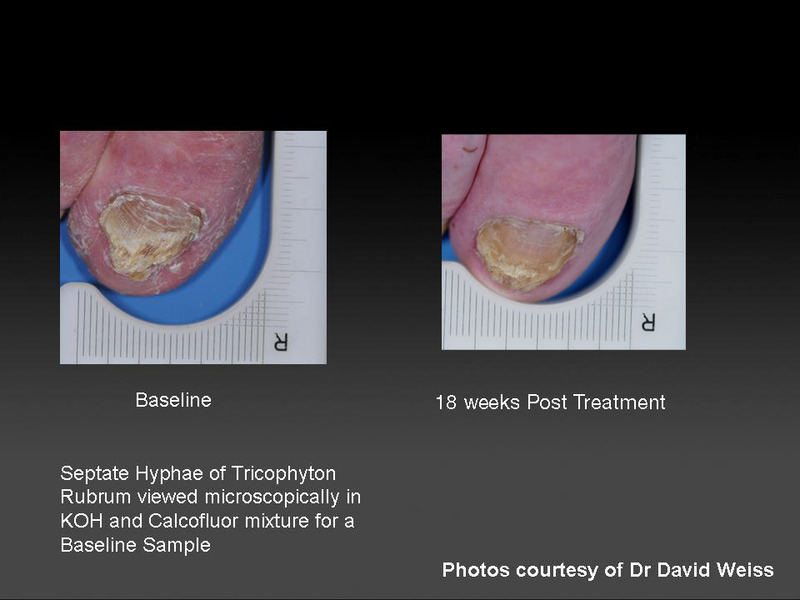 Toe nails grow slowly –especially nails infected with fungus. So, it may take 6-12 months for your toenail to clear. Reinfection with toenail fungus may be acquired anywhere from your environment, for example, in damp areas such as public swimming pools. Consult with your healthcare professional to understand how to prevent toenail fungus from reoccurring. When can I apply nail polish? While it is important to remove nail polish, decoration and jewelry prior to treatment, you can reapply nail polish 24 hours after treatment. 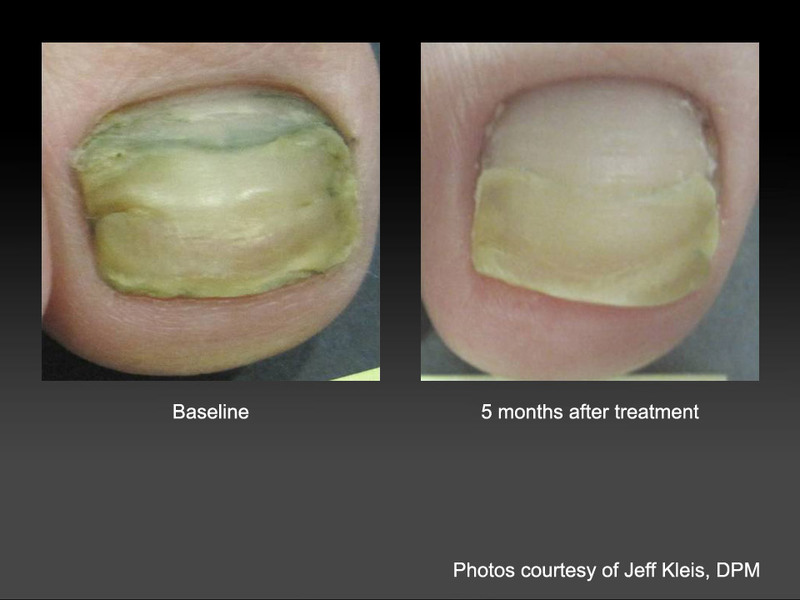 How does GenesisPlus compare to other toenail fungus treatments? Traditional treatments such as nail trimming, topical medicine, oral medicine or nail removal have significant drawbacks. Nail trimming doesn't treat the fungus. Topical medicines need to be applied for 12 months and have a low success rate. Oral medicines are taken for 3 months but can cause liver or kidney problems. 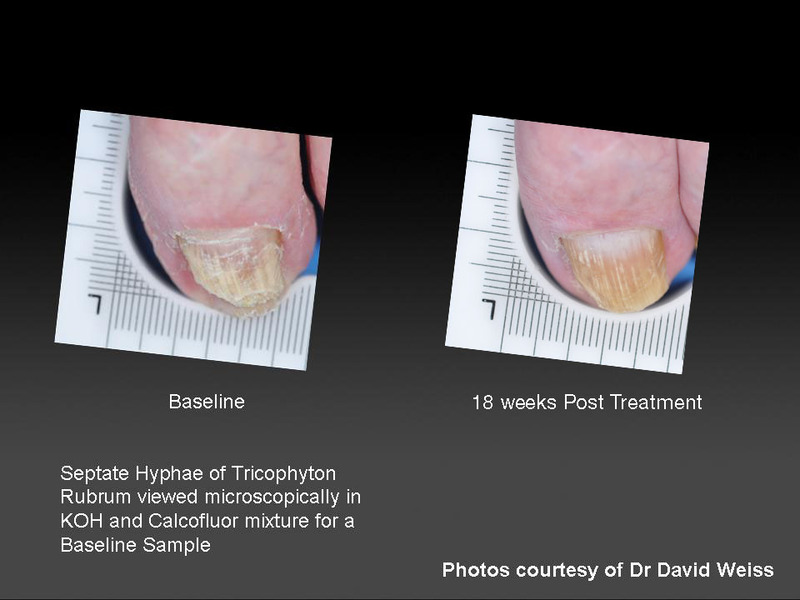 GenesisPlus is a quick, easy, safe, effective procedure that treats the fungus at the source.